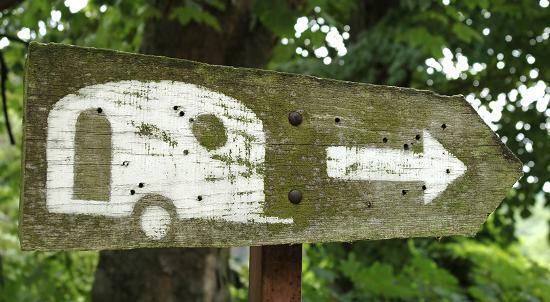 Are you planning to take your family to a caravan park this year? There are some wonderful ones around the country that cater for families, ensuring that you will have a fantastic time. Marton Mere in Blackpool is one of these places. This caravan park is set in relaxing natural surroundings next to a large lake; hence the name Mere. If you are in to nature this may be the park for you, as there is plenty of wildlife to be seen. If you are looking for a little bit more adventure, why not visit Blackpool, which is only three miles away for rides, attractions and the beach. On the park itself, you will be able to take a ride on the Space Bowl Flume. and shopping. If you wish, you can go to Blackpool, which is only 6 miles away. The park is probably mostly suited for the younger generation. Depending on the generation you are from, there will be many memories from your great family holidays at Pontin’s Holiday Camps. Prestatyn Sands at Rhyll, has wonderful beaches with rolling sand dunes in the background. It offers country walks including attractions such as Prestatyn Castle and Bodrhhyddan Hall. Here you will be able to enjoy face painting, heated swimming pool and fun bikes. Catering includes self-catering and half board, but you can still enjoy refreshments in the camp’s restaurants and bars, and of course the traditional Fish and Chips. No matter where you choose to stay for your family caravan holiday, each has its own atmosphere. Family orientated caravan parks will cater for all, including the children. There is always heaps to do, and if you have disabilities, many of these places have been adapted for wheelchair access. Therefore, everyone can enjoy these types of holidays. Join in the fun that the park’s staff entertain you with, and you will surely take home many great memories. You may be thinking that it is a challenge to get to these places if you don’t drive. This doesn’t have to be a problem, as Minibus Manchester is here to help. We are very experienced in taking people to their holiday destinations, and when your time is up, we will be there to pick you up and take you home. Our minibuses have facilities for disabled passengers as well as trailers that can be fitted to the back for your extra luggage. So, you have no need to worry. No matter how much luggage you have we will get you there. Call us today, and discuss your arrangements and holiday plans with our friendly, helpful staff.